do you know if it’s possible to use piface and rs232 simultaneously ? Yes Gordon, I had the same idea, but it does not work correctly, without piface I receive throught Rs232 but with Piface it does not receive correct. I think that Piface uses same addresses of Rs 232.
the serial and the SPI pins are completely different on the P1 connector – they shouldn’t interfere with each other. 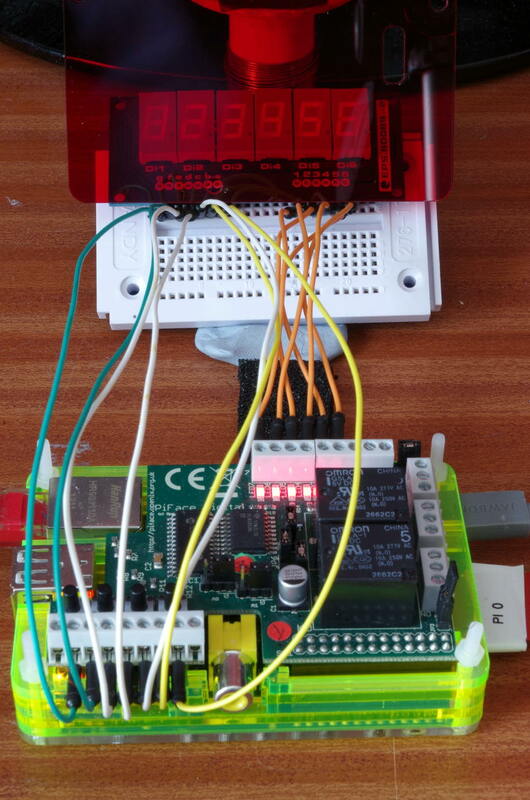 Saying that, I’ve no idea how the Piface is wired up – I’ve not seen a schematic on the board, nor PBC layout. I’d have to do some checks myself with a multimeter to see if the Piface was connected to the serial pins. Newbie question, but can i use the inputs as outputs by accessing the MCP23S17 directly if i’m coding in Python? Just remember the pins are 3.3v only and have 330Ω series resistors on them. Very quick demo here: http://wiringpi.com/dev-lib/piface/ but I’m in the process of putting together a “wiringPi and the Piface” type of thing. However the code is all written – look in the Piface directory of wiringPi/examples. That would be great. I’m taking a look at the examples now. If you want any help putting that info together, proof reading etc. let me know. First person to recognise it!! !